VMA 542 Tigers US Marines Aviation, 1976. 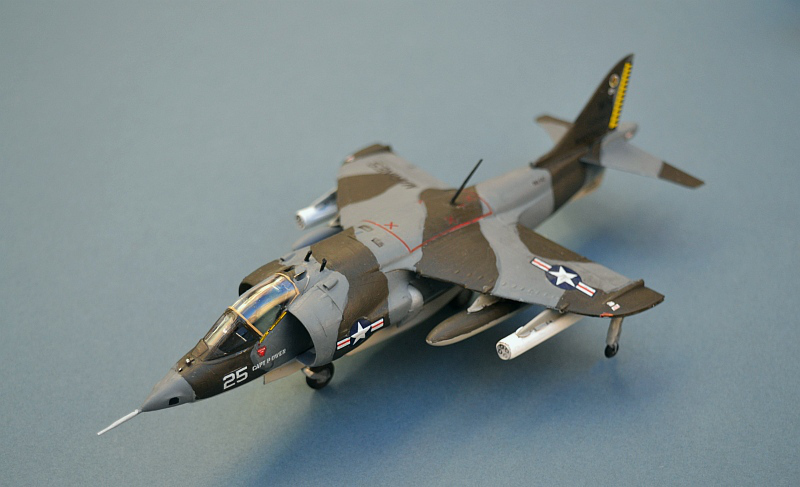 The kit’s only real flaws are lack of dropped auxiliary intake doors, the permanently horizontal tail surfaces (they normally droop upward when at rest on the ground) and the provision of only a Stencel ejector seat for the cockpit, but this last feature is only a problem if you want to make a UK variant and there are plenty of after market replacement seats available. Assembly of the nose section requires a little care to ensure it is symmetrical when complete and the after end of the wing section could do with a little building up to avoid creating a step in the surface. Other than that, ESCI’s plastic is a little brittle, as are their decals (but the latter may be purely down to age!) and getting the kit to stand on all 4 wheels at once is nigh on impossible. Building follows my normal practices - brush applied (thinned) Humbrol paint and a Klear finishing coat topped by a light oily wash to bring out detail and Windsor and Newton acrylic matt varnish to finish. To reflect the close support role, I have added an LAU 61 rocket launcher from the Italeri NATO weapons set, rather than the basic sidewinders that ESCI provide. Esquadrilla 008 Armada Espaniola, SNS DEDALO, Rota, 1976. 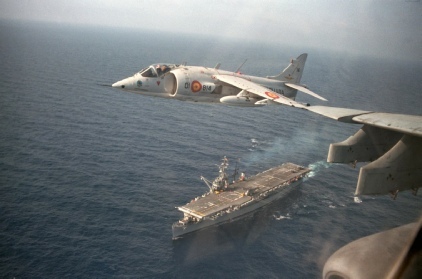 The Spanish Navy followed the lead of the USMC in acquiring Harriers to operate from their WW2 era aircraft carrier, the SNS DEDALO (ex USS CABOT). 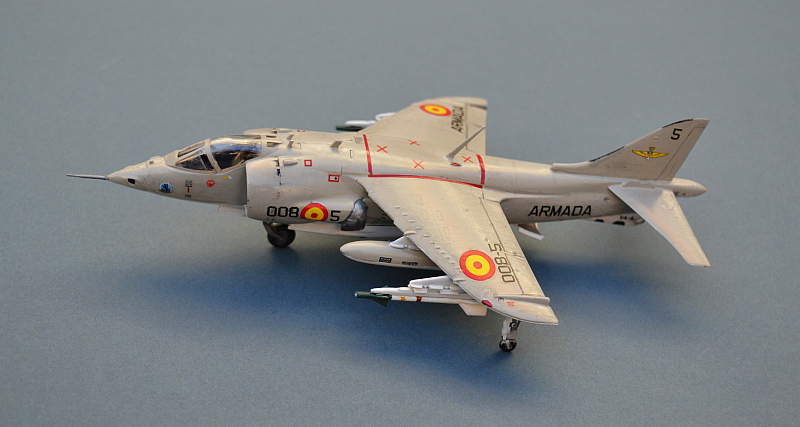 With some modest metal heat shielding to protect the wooden deck, Spanish Matadors, as they were named, operated from 1976 until they too were replaced by AV-8B Harrier IIs in 1997. 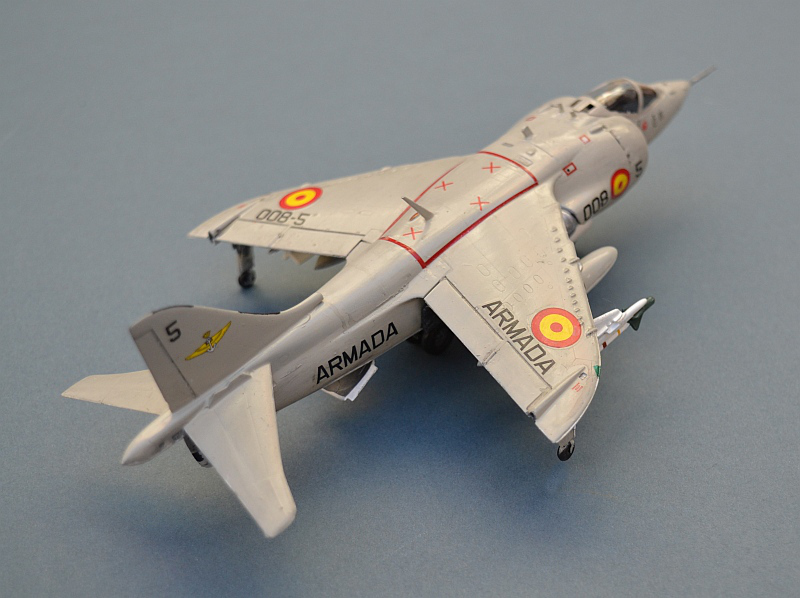 Unlike the USMC, who majored on close support missions, the Spaniards also saw the Matador as an air defence platform to protect their ASW carrier, armed with AIM-9 Sidewinders. 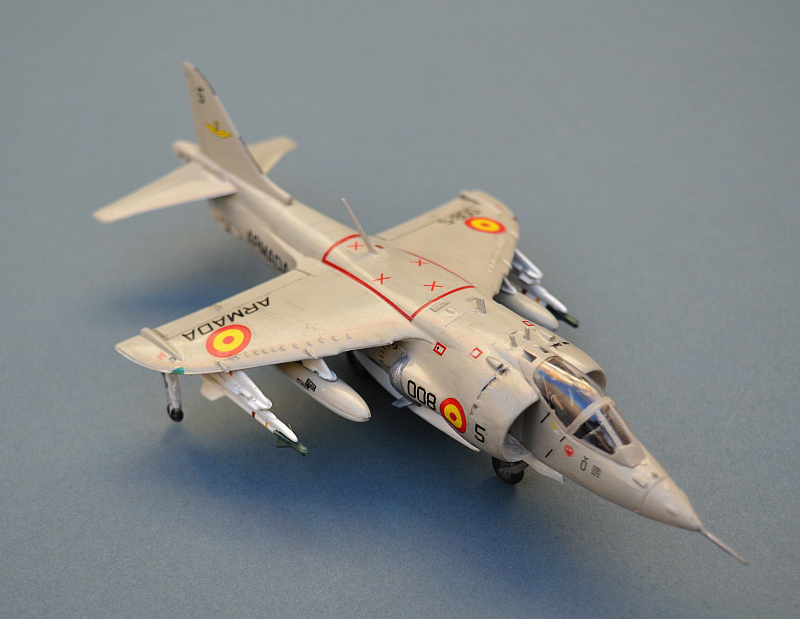 Due to the tense political situation between the UK and Spain at the time (Spain was governed by a right wing military dictatorship that had been in power since the 1930s, whereas the UK had elected a left wing socialist government in 1974), Spanish Harriers were originally purchased from the US and supplied from the UK in a complex 3rd party deal. Later attrition buys were supplied direct from the UK in recognition of improved relationships and Spain’s desire to join the NATO alliance. Later Matadors saw similar upgrades as US and UK aircraft, with more powerful engines, RWR antenna on their tails and “slime” formation lights on tail, wings and nose. Spanish Matadors were transferred to the Royal Thai Navy in in 1998, but saw very limited service due to budgetary constraints and were fully withdrawn from service in 2006. 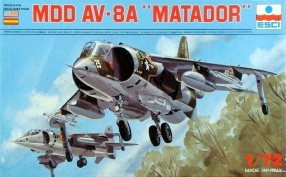 The US Marines expressed a keen interest in the Hawker Siddeley Harrier right from the start, viewing its unique VSTOL abilities as an excellent way to enhance the capabilities of their assault ships and also, politically, a way to ensure the continuation of fixed wing USMC aviation in the face of budgetary pressure from the USN. 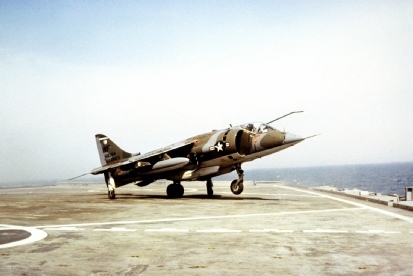 The first AV-8 squadrons stood up in 1971, based on assault ships but also developing an expeditionary “land away” capability that would see aircraft deploying ashore to forward bases as soon as these could be made secure. 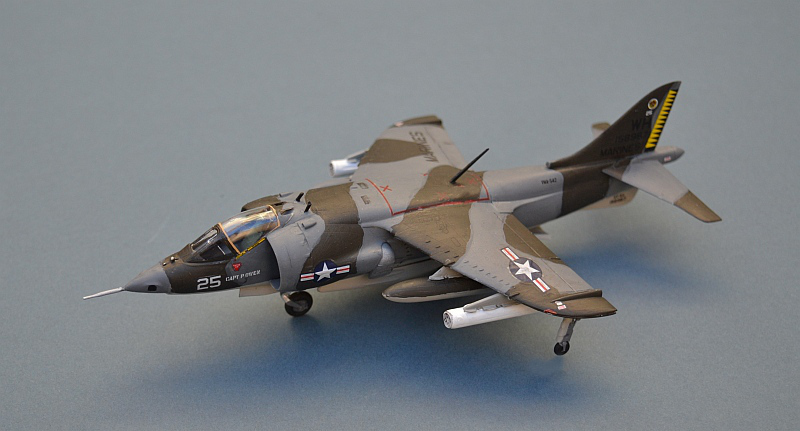 In 1979, many USMC Harriers began to be converted to the AV-8C configuration, with enhanced avionics and the ability to carry a wider range of more modern weapons systems. 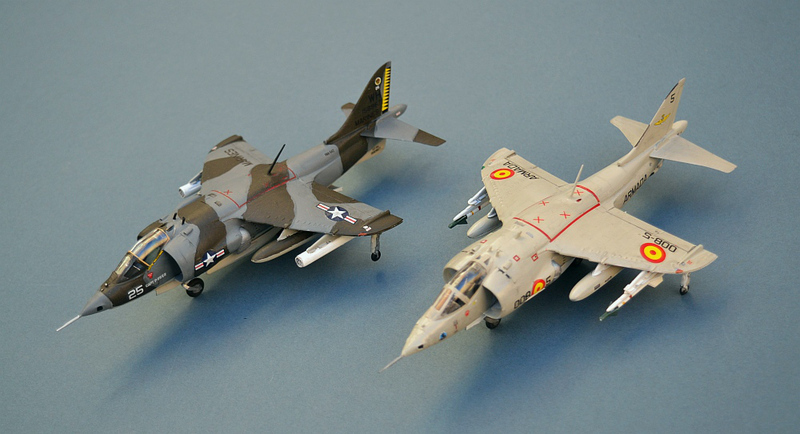 By 1987, a new generation of more capable AV-8B Harrier IIs started to replace the earlier AV8As and Cs and these remain in service today, alongside the first squadrons of the new F-35Bs that will replace them. 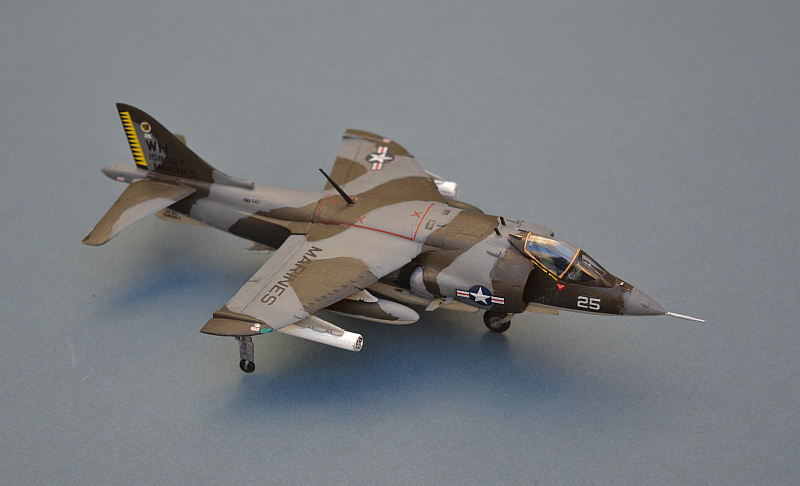 The ESCI Harrier kit remains, in my opinion, the best 1/72 Harrier model available. 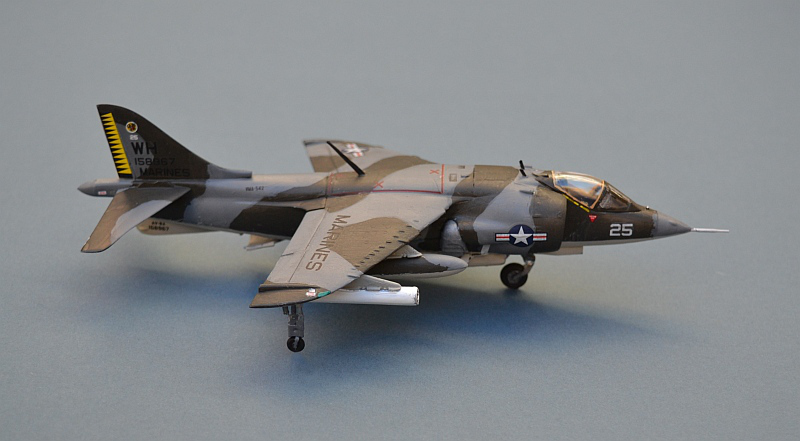 When it was first released in the early 1980s it set new standards for accuracy and delicate recessed detail that have not been surpassed by any modern aircraft kit moulding. Its not quite shake and make, but the accuracy of parts fit is good. 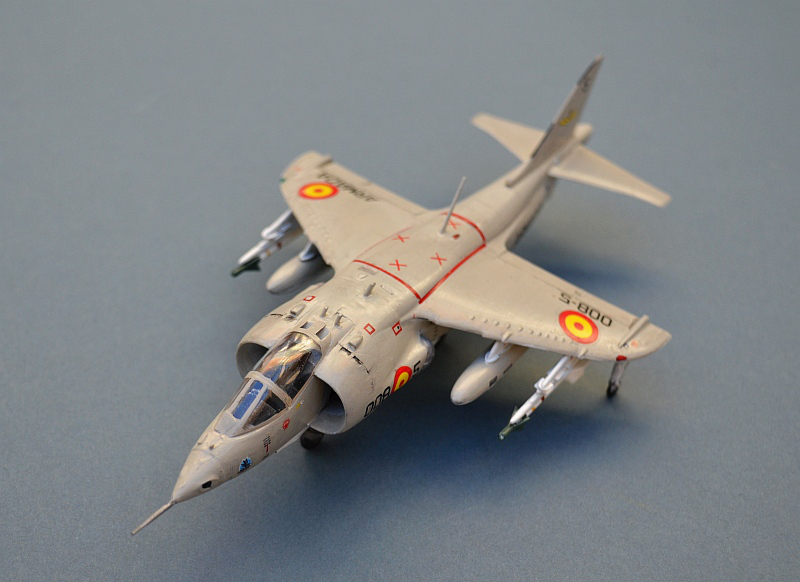 ESCI themselves issued it in 3 separate versions, an AV-8A/Matador/GR.1 moulding (this one), a “laser nosed” GR.3 and the eponymous Sea Harrier. 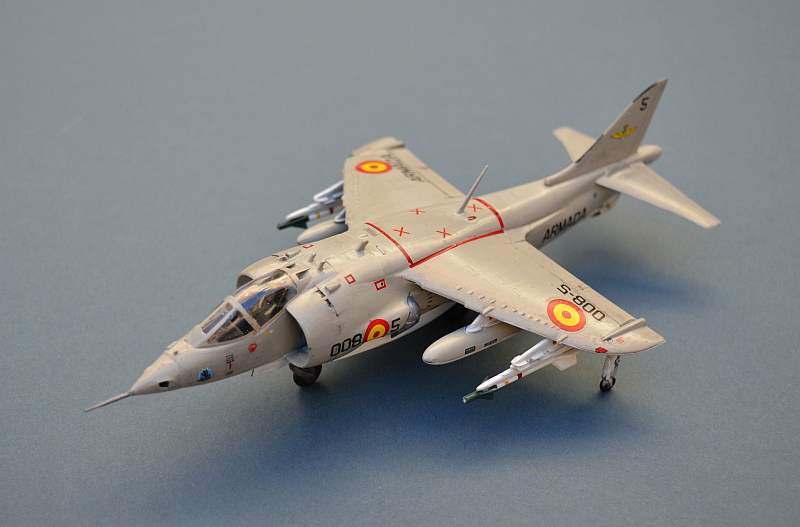 The latter two have been re-issued (and are still available) by Italeri, whereas the Sea Harrier has also appeared at various times in Airfix, Revell and Academy boxes. 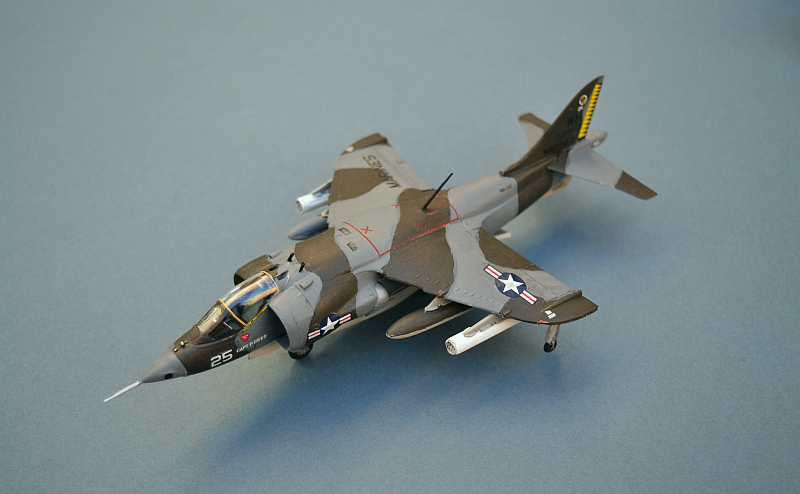 The Harrier probably still counts as my favourite aircraft and I have a great many unbuilt kits in the stash. So having built one, how could I resist building another. These are the alternative decals in the ESCI kit, applied to a cheapy buy kit that had none of its own. The main differences are a couple of additional antenna and a different air defence weapons fit.